The main reason tourists visit Füssen today is to for a Neuschwanstein Castle Visit. Neuschwanstein is about 10 minutes from Füssen. Many people think the castle is the inspiration for the one at Disneyland. The rooms of Newschwanstein Castle show the eccentric nature of Ludwig II of Bavaria who built it in the 1880s. The room called the Grotto is designed as a cave in tribute to the opera Tannhäuser by Richard Wagner. Fifty-six person years of labor went in to the carvings on the wood canopy over his bed. Be sure to walk the short trail to Queen Mary’s Bridge for views of the castle and the plains in the background. 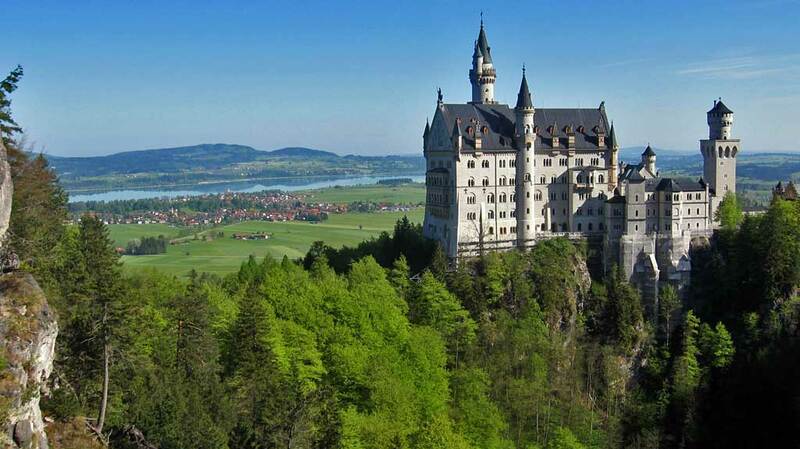 Neuschwanstein Castle was built above nearby Honhenschwangau Castle, where Ludwig II was raised. Ludwig II also built many other castles throughout Germany. Concern about his mental health and his spending led to his confinement at Castle Berg on Lake Starnberg. Ludwing II was found dead in knee deep water in the lake shortly thereafter. 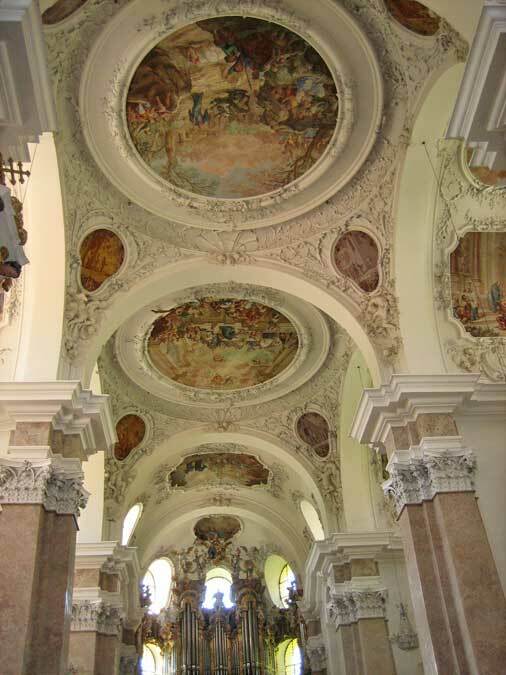 St Mang’s Abbey in Fussen is a 9th century Benedictine monastery that is part of the Diocese of Augsburg. Wander the streets of Füssen. Be prepared to speak German at the shops here. 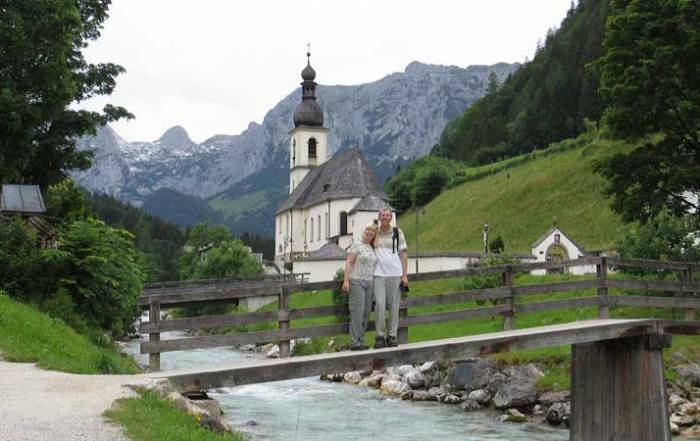 There are numerous B&Bs, called pensions, in the valley surrounding Neuschwanstein and Füssen. 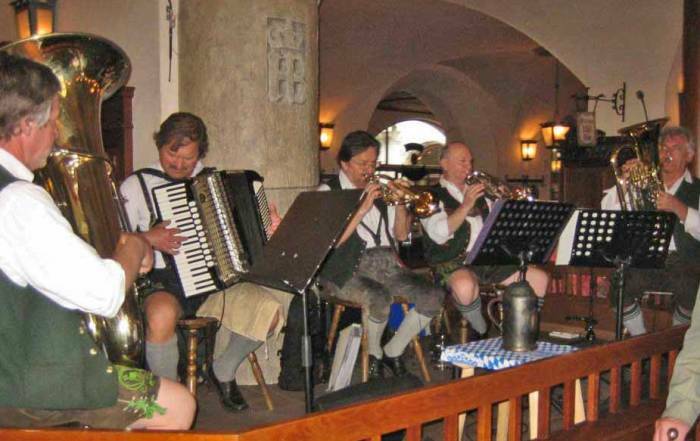 Try Pension Waldmann for a family run business with home cooked German meals. 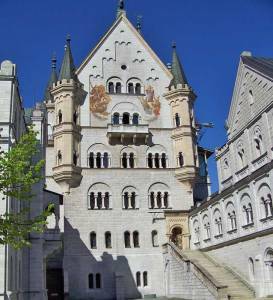 Plus you can walk to the ticket booth entrance at Neuschwanstein Castle. 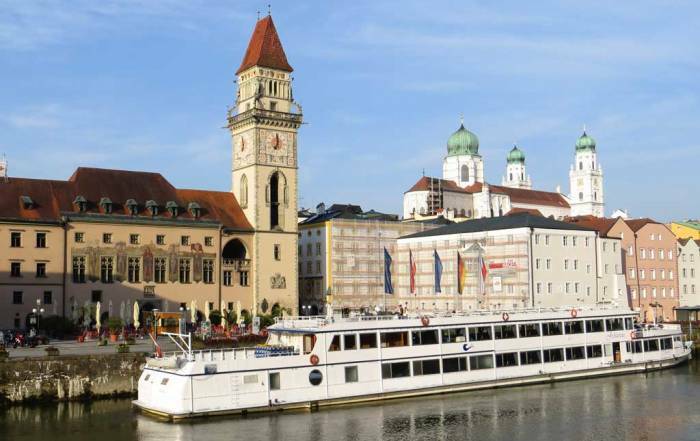 The best way to get to Füssen is by train or through an organized day tour from Munich. If you are arriving by train, plan to overnight in Füssen and then take the short 10 minute cab ride to the Neuschwanstein Castle entrance. An early morning visit will avoid the bus loads of tourists that start arriving by mid morning. 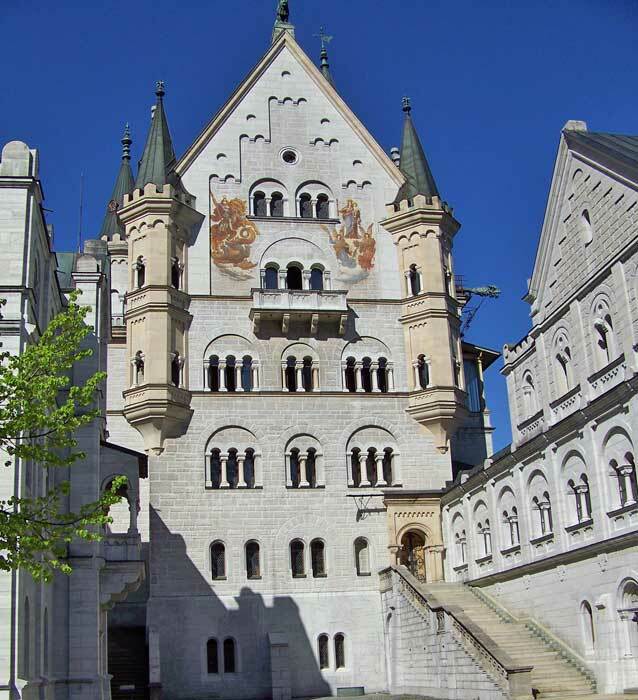 Alternately, stay in a pension (bed and breakfast) closer to Neuschwanstein Castle. Füssen is 2 hours from Munich, 1.5 hours from Innsbruck and 3 hours from Zürich. Take a full day Bavarian Castles Tour to Neuschwanstein Castle, Honhenschwangau Castle, Linderhof Castle and the village of Oberammergau. 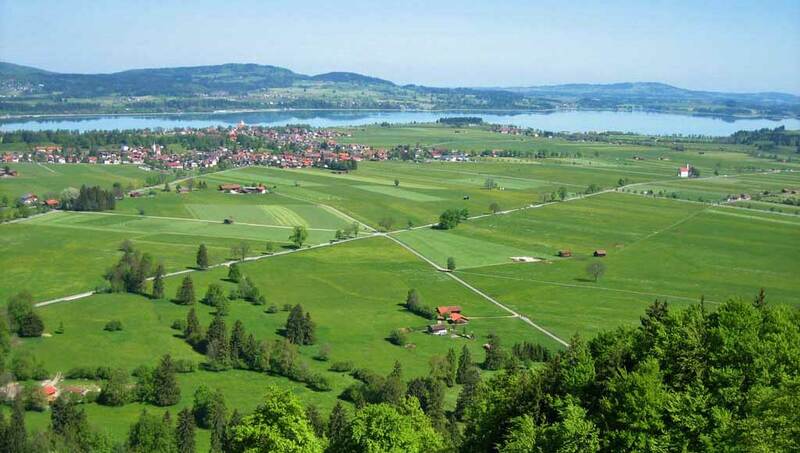 Fussen marks the beginning of the picturesque Romantic Road as it proceeds north to Ausburg and Wurzburg. 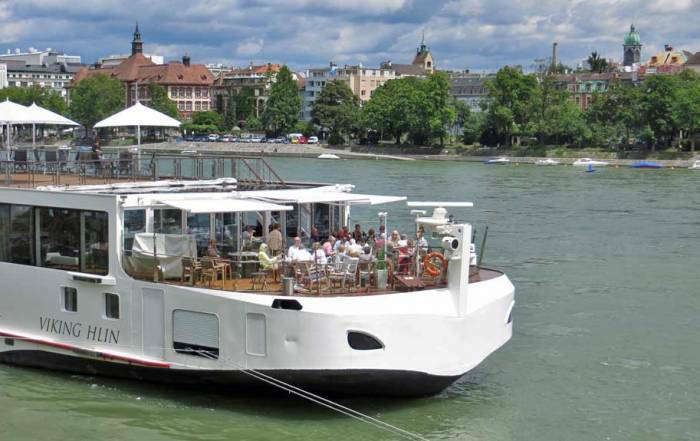 The name refers to an ancient Roman trade route. 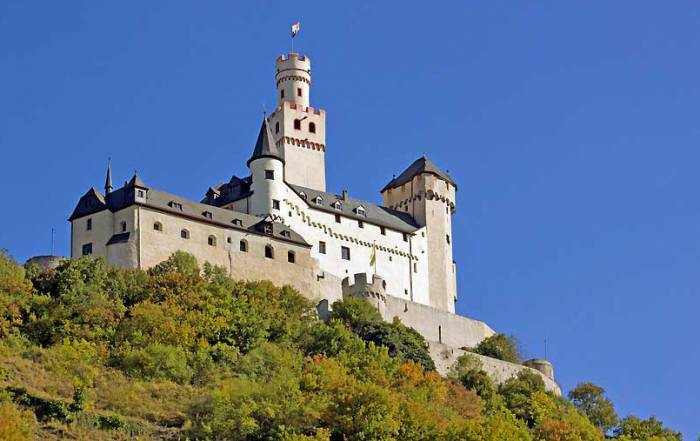 Füssen and Neuschwanstein are summer weather tourist destinations. Average temperatures peak in July and August at 77 F (25 C), while lows are about 55 F (13 C). By December and January average highs are 40 F (4 C) and average lows are 25 F (-4 C). Rainfall increases in proportion to high temperatures, making July the rainiest month. 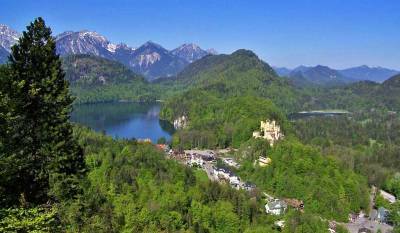 May and September offer good Füssen weather, while avoiding to some extent the large crowds that flock to Neuschwanstein in the summer. Füssen is part of Bavaria, a region of Germany. 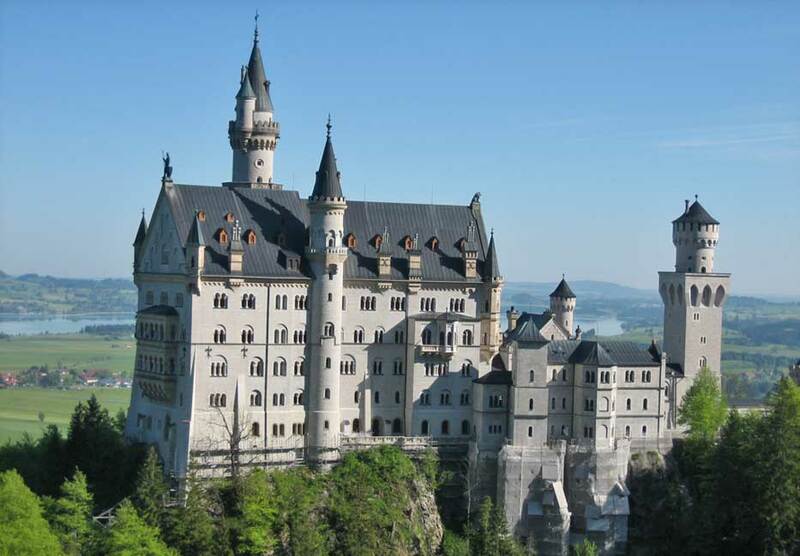 The popularity of Füssen today is based almost entirely on tourism visits to Neuschwanstein Castle. The castle is a few minutes outside of town at the base of the Alps. 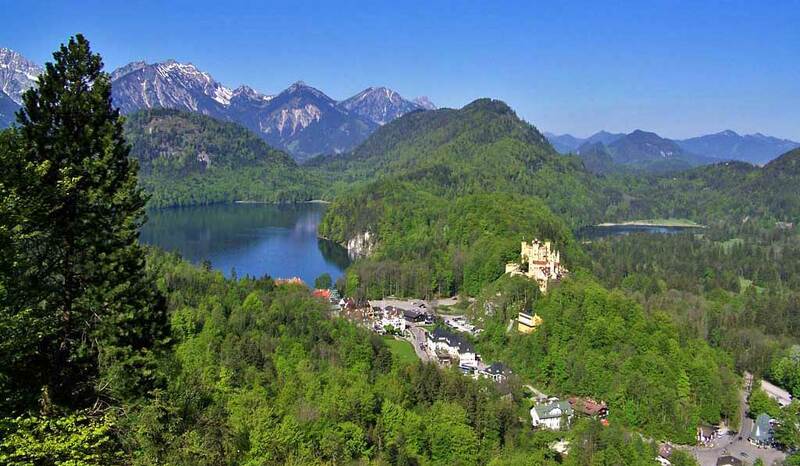 From Neuschwanstein Castle, there are lovely views back to Füssen, the Forggensee and the rolling green plains. The Romans were the first to settle Füssen. Craftsmen have created quality crafted violins here for centuries .